I used to be a speakerphile until I took an arrow to the knee. Oppo has really gone digital with their new Sonica speaker, which is jam packed with features and functions controlled via their app. I admit, I like this one and I’ve never really seen a speaker quite like it. Then again, it isn’t like that is a surprise to me. Oppo’s product releases are generally all-star quality. Oh boy, where the hell do I even begin here? This review could span 10 pages quite easily if I listed and detailed everything this thing can do. I’m forced to narrow things down to the most important features because there are just too many to name in text form. I don’t feel like typing out a 10+ page report just like I am sure nobody wants to read one that long. So, let’s take a look at only the basics. 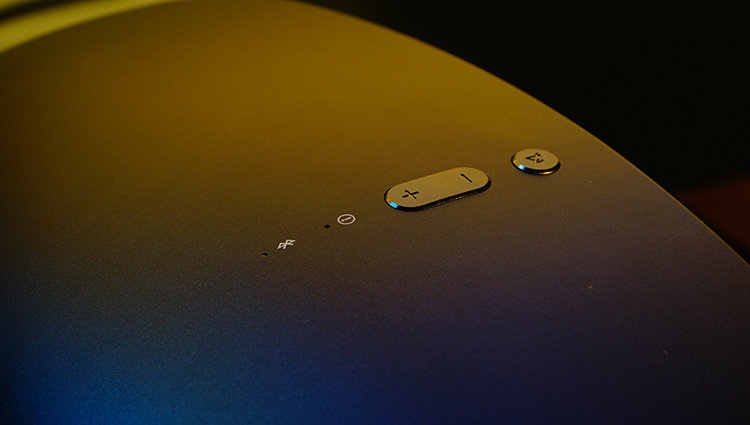 The speaker has Bluetooth 4.1 functionality, a standard 3.5mm input, and a Wifi home network sound system connection. It also decodes incoming music streams at 24bit/192kHz, which means it cleans up the sound quality streamed into it via its own DAC-like circuitry inside, which then is routed to the speaker output. I can’t recall any speakers that make Bluetooth audio sound better than usual, but this Sonica does just that. If you download the Oppo app, you’ll be able to sync your Sonica to your phone or tablet and enjoy a slew of functionality features that become active once the pairing is complete. These features cannot be accessed without the app. I prefer not to be forced to own an Android of Apple phone just to use the product at its full potential. Features like room type optimization and multi-Sonica pairing for a house system are something I would love to be able to do without the need of a cell phone, but I guess I am too old school. I have a Windows OS phone, so I am S.O.L and had to borrow a family members phone to test out the Android Oppo app for a few days…actually, I lied. I beat up an old lady for her Galaxy S4…do not feel bad, she knew Brazilian Jiu Jitsu and she wrecked me in that street fight. I lost an arm, she lost her phone. Seems a fair deal to me. Summed up, I couldn’t test the multi-speaker function (which lets you stream one source to multiple Sonica’s and that lets you choose which one you want to listen to at the moment) because I was only sent one sample. Obviously. I was able to play with the room type feature, which works just alright to me. I’ll cover this more in the Imaging area of this review. For whatever reason and on the stock firmware, the Sonica will auto pair to my Bluetooth USB dongle for my PC, but not to my Pioneer 100R music player, nor any other BT-enabled device. 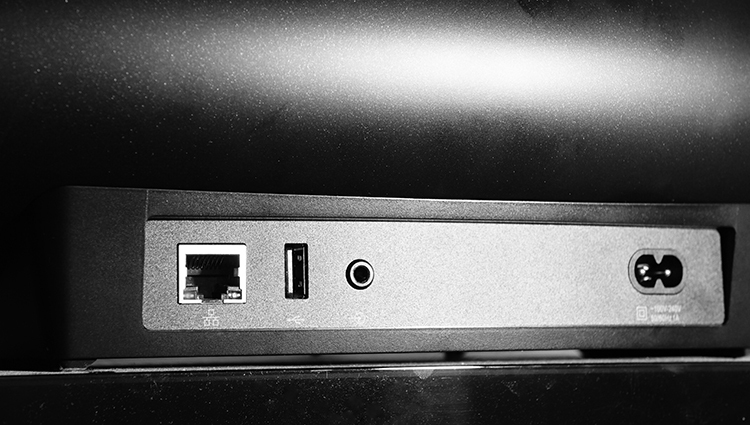 I couldn’t figure out why, but it seems a few others have this issue as well and it will depend on what dongle you are using for your computer. If I pair the Sonica to my PC’s Bluetooth USB device, but fail to remove it the next time I want to use it, it will try to auto sync to it every time I turn the Sonica’s power back on. Even with the BT devices software inactive, the Sonica thinks it should try to pair itself via BT. It is a trivial thing, but the Sonica will disable 3.5mm input until you remove or fully end the BT device’s streaming output. 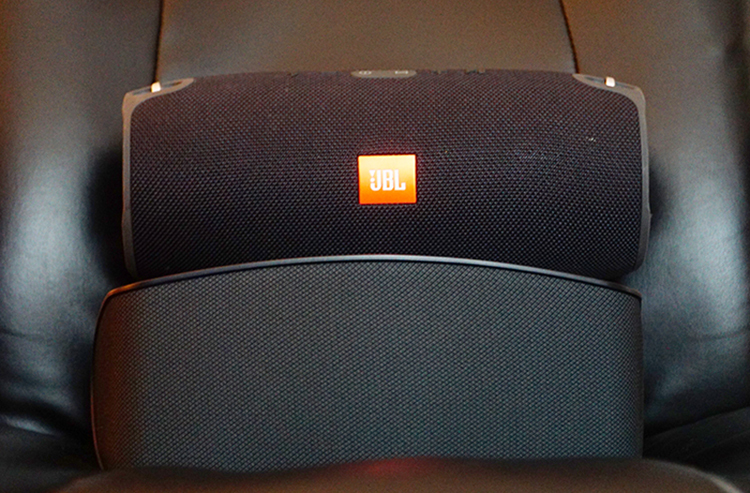 Not all BT speakers do this, an example being the recently review JBL XTREME speaker I wrote about a few months ago. It kind of bothers me that I can’t keep my BT source active and swap to the 3.5mm if I so choose. 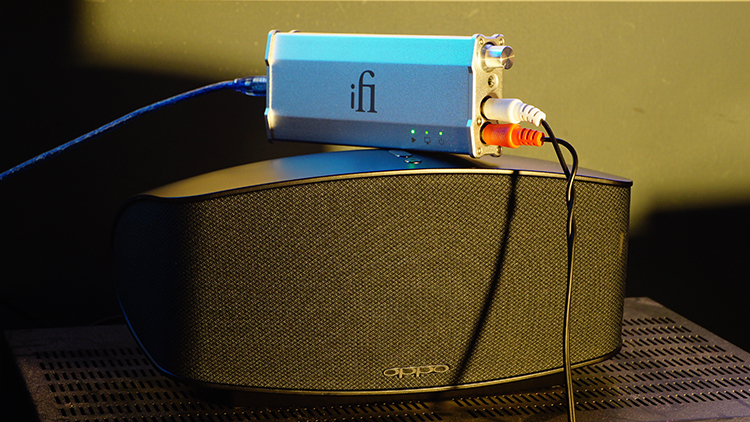 Generally, I like to use the hard wire instead and hook up to my iFi DAC instead of using Bluetooth, as the sound quality is noticeably better. But, there are also times where I would like to use the Bluetooth functionality prior to or immediately after. Sadly, the Sonica makes that difficult. To avoid all of this, make sure you update the firmware to Sonica-19-0816! Hell of a quality increase in this Sonica, coming off the JBL XTREME that has the exact same price tag. Jeez. One of them (JBL) sounds like mud, the other (Sonica) sounds very clean and deep. True, the JBL projects significantly more and can fill a very large auditorium with sound…but the Sonica seems clearly intended for a smaller room or office usage. I’ve toted my JBL XTREME to parties and gatherings for audio enthusiasts and nobody really thought anything special of it. I’ve also touted the Sonica to the most recent meet I’d attended, only to find all 11 others inquiring about what that speaker was. The bass quality and quantity are what I consider excellent for a speaker of this price, besting even my floor standing Kvart Bolge Sommeliers that I’d reviewed in recent times here on Headfonics. It really is hard to swap between them and justify the Kvart’s very lacking bass regions, which feel much harsher, much thinner and less clean. In fact, it was so hard for me, that I’ve decided to sell my Sommeliers in hopes of replacing it with this Sonica. For reference, I’d never once considered that JBL XTREME speaker nearly good enough to justify using as my primary listening room speaker. Yet, I don’t have even slight reservations about doing just that with Oppo’s Sonica. Bass is tight and thick, reaching very deep and without sounding harsh or overly slamming. Office lovers may love or hate it because it resonates deeply throughout what I consider a small office space. But, it won’t be harsh or snappy and depending on the genre listened to, you and your co-workers may feel that sub-bass reverberates in your chest cavity. Most of the time, you’ll get a very firm and weighted low end with plenty of presence. What I enjoy most is the lack of physical slam and impact, as well as it’s overall excellent responsiveness. It is not a bass canon, but she digs really deep and it is more like a good headphone in that regard and tends to feel more gentle, all while feeling very weighted and deep. Excellent bass quality here, which puts the JBL XTREME to absolute shame in nearly every manner of speaking that I can muster. This is not a projecting speaker, so don’t expect giant sounding vocals. By comparison, the JBL and even the Kvart Sommeliers feel more than twice the size when I compared all of them with the same track from Michael Buble’. I would not dare call the Sonica a vocalists delight, but that lack of forwardness is made up for with very nice cleanliness. It exceeds my Sommeliers in overall clarity by a hair and I find myself enjoying the softer impact appeal of the Sonica much more than the JBL XTREME. The Sommeliers that used to be my primary speakers for daily usage, but no longer. Density factor is off the chart’s good for a speaker of this size. If you like high substance factor without it getting into the overly thick or bloated tonality and texture type, then this is for you. Treble is a weak link and could be problematic in an underwhelming manner. By no means is this speaker harsh or sibilant, quite the opposite. I find it to present a quelled and subdued top end, even with tracks I consider to be harshly slamming or very bright. Reserved is the best term I can use to describe it. The Binaural album from Ottmar Liebert titled Up Close is one I typically enjoyed through most other speaker setups I’ve owned, but not so much through this Sonica. As I listen to it as I type this, I find myself yearning for more up top and sadly the Sonica doesn’t respond much to EQ up top. This isn’t a problem in the bass regions, the Sonica plays ball with customization down below, but not so much in the treble areas of the spectrum. Expect a cool, calm and collected upper region experience at all times and something you’ll never wince or blink at, even at high volume. Vividly lacking in every way. This speaker is relatively weak with how much it projects (how large it sounds) and fails to fill even my 20×20 listening room. The optional app controlled room presets ruin the sound quality for me and only just hardly enhance the overall staging properties of the Sonica. They are nice to have, but I don’t hear their value. This speaker sounds very small and you can almost pinpoint the edge work of the sound wave coming at you sometimes. IE: It is easy to tell that this sound is coming from this relatively football sized speaker in front of you. By comparison, the JBL XTREME bullet speaker really projects very well. Imaging is just not the strong suit of this product, but I think that was intended. People in an office setting, or who like to sit outside and not drive the neighbors crazy with music, are going to absolutely adore this Sonica. It is a very personal and intimate sounding speaker, which is something I greatly desire. For small rooms or events, it’ll do very well with it’s elegant, stylish appeal and will never ruin the listening experience with an overabundance of projection. If you have experience with HiFi speakers, you’ll understand what I am talking about with regard to overall fidelity: the Sonica puts up a high-class vibe and will effortlessly blend itself into the room’s settings in an acoustic manner. Somewhere in the background at your party or gathering, this Sonica will be piping out tunes in a way that most speakers generally don’t. As a long time Bose speaker owner, I can tell you that the Oppo and the last gen Bose home speakers share the same type of physical projection in imaging, which again is merely intended for intimate settings. 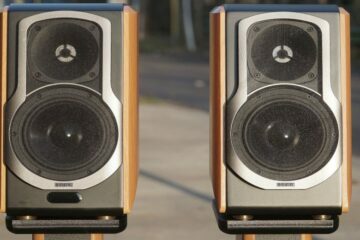 If you have experience with HiFi speakers, you’ll understand what I am talking about with regard to overall fidelity: the Sonica puts up a high-class vibe and will effortlessly blend itself into the room’s settings in an acoustic manner. Somewhere in the background at your party or gathering, this Sonica will be piping out tunes in a way that most speakers generally don’t. As a long time Bose speaker owner, I can tell you that the Oppo and the last gen Bose home speakers share the same type of physical projection in imaging, which again is merely intended for intimate settings. Yes, there are more features this thing has to offer. But, I can’t detail them and expect to not exceed what I consider too long of a review. This speaker sounds elegant and classy. 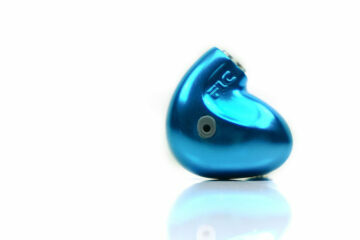 It emits a very pleasant sound with excellent bass quality and midrange, but never sounds harsh. It is raw audio quality was good enough for me to want to list my Kvart Bolge Sommeliers for sale and shelve the JBL XTREME forever. For this price, the price to performance value is good. However, the price to features ratio is absurdly fantastic. The Sonica has BT and wireless functions, can work on USB drives, pairs with multiple versions of itself and has a digital decoder inside of it that reaches 24bit/192kHz. If you’ve read my speaker reviews of the past, you’ll know I prefer intimacy and lacking physical slam: this is exactly what the Sonica is all about. I am subjectively satisfied as using it as my primary listening room speaker, but the treble needs some work. I can’t fault the lacking imaging quality if the overall clarity is as good as it is. Oppo bats another one out of the park. What a fantastic, feature rich speaker for $299. Great job, Oppo. Any chance a future floor standing speaker is in the works?! Having heard this Sonica and enjoying it this much, I can only imagine what you guys can do with a larger model. Where can this be bought? i cant find it anyware i europe ? would enjoy a comparison with the bluesound series, too, if you can please…pulse mini? How would you compare it to the Sonus play 1? I can! The Oppo has a deeper low end, also with more clarity. The mids are more rich and vibrant on the Oppo as well, however they feel more natural in tone. I was just at an event that had those Sonus’s active and I thought they were noticeably brighter than what I am used to with the Oppo. I think the Sonus had more treble kick. Sound staging felt similar but then again the room I was in was much larger than the room I usually use the Oppo in. Definitely a superior fidelity all around over the Sonus. 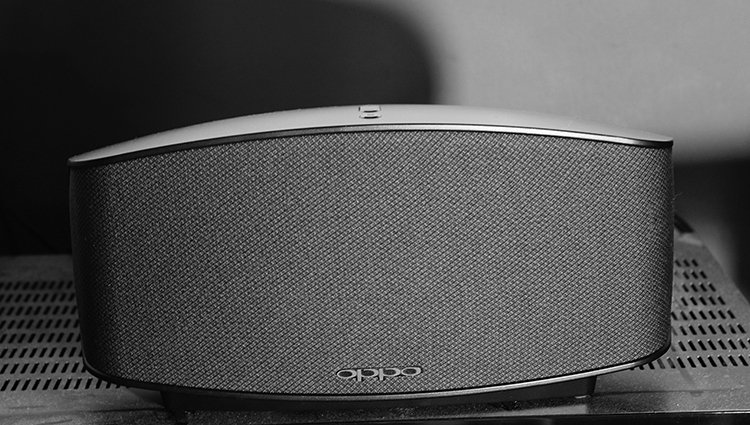 You’ll get a more powerful bass, more clarity in the treble and a larger sound field with this Oppo Sonica. Just make sure you update the firmware if you are buying a Sonica (You’ll have to get a USB stick for that and upgrade manually).